A home inspection gives you valuable insights into the quality of a real estate property, allowing you to pinpoint necessary repairs and avoid unforeseen costs. To get the most out of it, make sure you are present during the process so you can ask questions. Include these points on your checklist of queries for the property inspection team. 1. What’s the Status of the Heating & Cooling Systems? A furnace and boiler are expensive to replace — make sure your home inspector checks the relevant maintenance stickers. If there have been a lot of service calls in a short interval or the system is old, greasy, and poorly maintained, it may be time for a replacement. 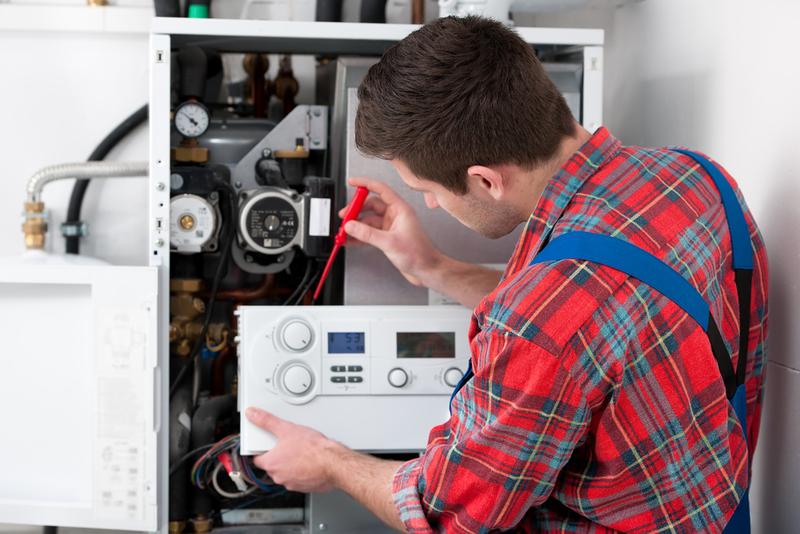 In general, a high-efficiency furnace can last for about 15 years and a water heater up to 12 years. Also, find out when the A/C unit was installed — these last about seven years. 2. Are There Any Red Flags? Cracks in the foundation, asbestos, and mold are all red flags — ask if any of these are present. If so, don’t panic. Find out what they would recommend in terms of a fix. A damp area of the basement that’s prone to mold sometimes just needs an added ventilation system to combat moisture, for instance. Solutions don’t have to be prohibitively expensive. Also, ask if there was ever an in-ground oil tank. If one of these was removed from the property, ask for verification that the surrounding soil wasn’t contaminated. Dealing with a leak after the fact can cost up to six figures. 3. Where Should You Look for Repairs? Some of the items that make your home inspection “to fix” list can be done yourself. All it takes is a trip to your local home and hardware store. Ask your inspector which issues require a professional. If it were their home, what would they prioritize and where would they turn for repairs? Sherlock Home Inspection has provided the Augusta, KY, community with reliable care since 1998. Their certified home inspectors are licensed and insured, giving you security you can rely on. They are also members of the Kentucky Real Estate Inspectors Association. Review their services online and call (606) 782-1430 to discuss your home inspection needs.